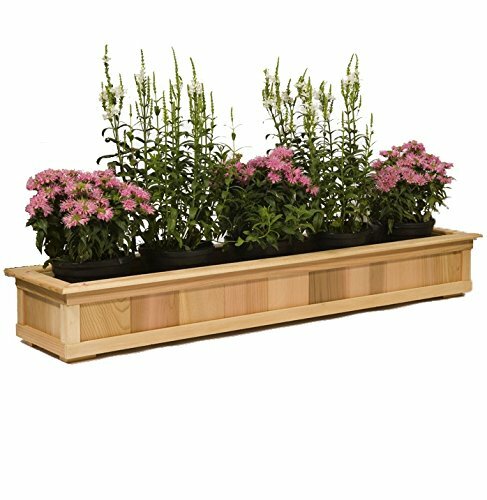 These high quality western red cedar planters are handcrafted in the USA and accommodates a variety of plants and flowers. They are aesthetically pleasing to the eye and can be placed on decks, deck rails, windows and just about anywhere. We use only the best quality materials and fasteners available. All our planters are banded for additional strength and longevity. These planters come fully assembled and can be used indoors and outdoors. They come unfinished and will weather a light gray color if left untreated. They can also be painted, stained, or sealed to match any décor. If you have any questions about this product by Baltic Leisure, contact us by completing and submitting the form below. If you are looking for a specif part number, please include it with your message.